How much money can you save with a Wi-Fi smart thermostat? Best answer: If you use a Wi-Fi smart thermostat to intelligently control the temperature in your home, you could in the ballpark of 10%-25% on your energy bill compared to a standard thermostat. The novelty value of being able to control home temperature with your iPhone or iPad is high, but in terms of real dollars and cents, Wi-Fi smart thermostats are expensive compared to normal programmable thermostats, especially if you require pro installation. The degree of energy savings will determine whether a Wi-Fi smart thermostat is a worthwhile purchase, and we're going to help you figure that out. The core concept of saving energy in home heating and cooling is to leave your system off while you're asleep or away at work. Ultimately, you only want it running when you need it, with a little bit of wriggle room in the schedule so your home can reach a target temperature just in time. Both Wi-Fi smart thermostats and regular programmable thermostats can pull this off, but so can a bit of diligence with an older manual model. Let's take a look at the energy savings that Wi-Fi smart thermostat manufacturers promote in their advertising, with the caveat that these numbers can vary wildly based on home size, insulation, local weather, type of climate control system, and how much time you spend out of the house. As you might expect, the manufacturers are very clear that the savings numbers they offer are purely estimates and not guarantees. 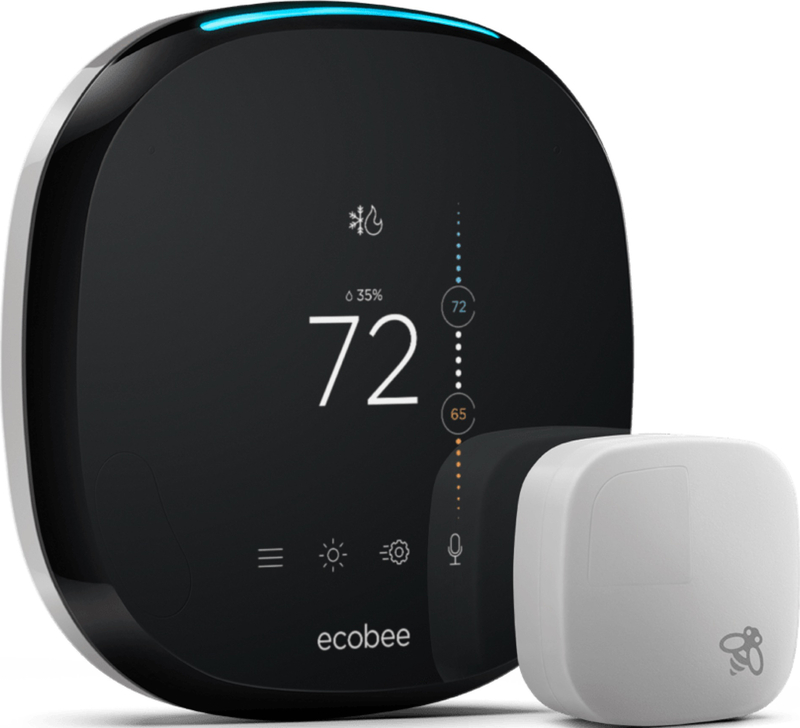 Ecobee claims their thermostats saved owners an average of 23% in heating and cooling costs in 2013, while Nest says they've saved 10 - 12% on heating and 15% on cooling between three studies, resulting in average annual savings of $131 - $145. Nest and Honeywell have savings calculators available where you can get a ballpark idea of how much money you can save. With these numbers, it would take at least a year for the thermostat to pay for itself in savings, and more likely two or three. Next let's figure out how much of those savings are attainable with a significantly cheaper programmable thermostat. The U.S. Department of Energy estimates homeowners save an average of 10% annually on their heating bill with a programmable thermostat versus a traditional one. A 2004 study of 25,000 Quebec homes shows a meager 3.6% energy savings with a programmable thermostat. A natural gas billing study from 2006 shows a 6.3% savings with programmable thermostats. Saying a Wi-Fi smart thermostat provided 10% more savings than a traditional programmable thermostat would be optimistic. The aforementioned savings estimates from Wi-Fi smart thermostat makers are relative to the original thermostat used. In many of these estimates, they're assuming you have an old thermostat that's not programmable or a programmable thermostat that isn't set up. The latter scenario is apparently common. Out of 35,471 programmable thermostats monitored in New York and San Francisco in 2003, 53% were in "hold" mode and not programmed. Other studies back up this trend. Some researchers even posit that traditional programmable thermostats have wasted power because they haven't been set up properly, and that those with manual thermostats save just as much with good habits. Overall, it's safe to say you can expect to save in the ballpark of at least 10% on your energy bill if you're using your thermostat right. It's clear that usability is a big issue in thermostats that has cost homeowners as an amalgam a whole lot of money. This latest breed of Wi-Fi smart thermostats, though only marginally smarter than the previous generation when it comes to regulating home temperature, are infinitely easier and more intuitive to use. Sure, you can save a comparable amount with a lower-end thermostat, but that hinges entirely on whether or not you'll use it right, namely by turning the system down at night and before you head out for work. If it's not something you're doing already, odds are a hard-to-use system won't get you to start saving money, while a proper Wi-Fi smart thermostat will. The best smart thermostat for most people. 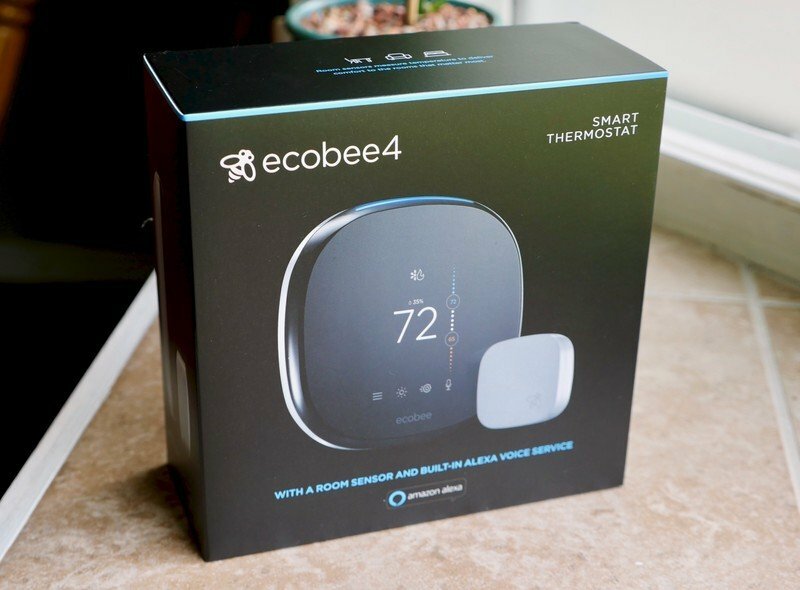 The ecobee4 is the smart thermostat to get right now. It comes with a room sensor to better understand what's happening in your home, has Alexa built in, and works with HomeKit and Siri.